Blood glucose tests, which can be conducted in pharmacy through a simple blood test, measure the amount of glucose in your blood. Glucose is a simple sugar that provides energy for the body. Blood glucose tests are also sometimes called blood sugar tests. They are usually used to monitor and assist with the management of diabetes. People with diabetes often monitor their own blood glucose at home though a finger-prick test with a blood glucose monitor. The standard blood glucose tests measure your blood sugar level at a particular time and can help you to see the effects of food, exercise, medication and illness on your blood glucose levels. 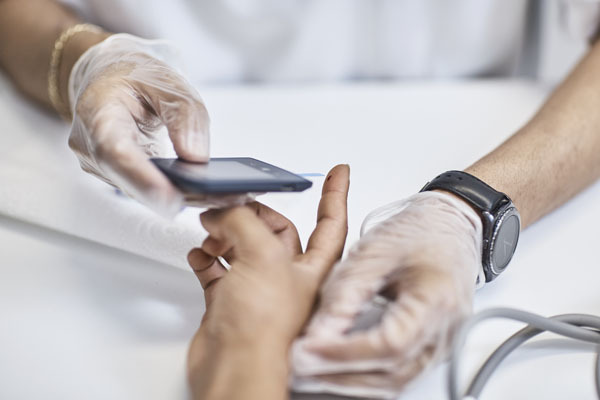 As blood glucose monitoring detects your blood sugar levels at a particular point in time, it is not an accurate tool to assist with the diagnosis of diabetes. Your blood glucose levels generally go up or down during the day based on food, exercise, hormonal changes, and illness. However, high levels of glucose can indicate diabetes or being at risk of diabetes. 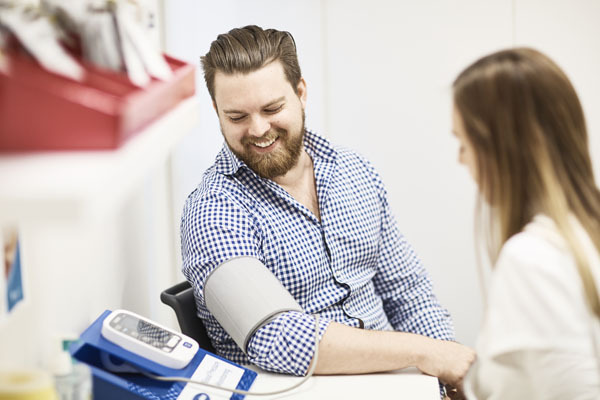 You will need to discuss with your pharmacist and doctor what the test results mean for you, given your specific circumstances.